The Annapolis Bermuda Ocean Race awards trophies for "first to finish" overall, fastest corrected time out of the Chesapeake, fastest corrected time for the ocean leg, as well as first, second, and third place finishes in each class. In addition, the Storm Trysail Club Trophy, the Weems and Plath Navigator's Log Trophy are also available. Please remember to register for these special trophies prior to the race start. In addition, each race entrant will be presented with an engraved plaque commemorating successful completion of their race. The Storm Trysail Club Trophy is awarded to a club and to individual yachts. 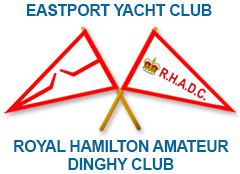 To qualify, it is necessary for at least 2 yachts skippered by members of the same club to race. The club whose top two racers achieve the highest combined score wins this beautiful trophy to display in its clubhouse until the next race. High point skippers also receive a small trophy to commemorate their achievement. To enter, just be sure you indicate that you wish to compete and name the club of which you are a member. The Navigator Trophy is awarded to the navigator whose logs and plotting sheets are found to be complete, neat and readable. The judge(s) will look for that navigator who exhibits conservative, knowledgeable and conscientious navigation incorporating proper dead reckoning, charting some celestial and some electronic navigation. This includes keeping a proper dead reckoning tract, the plotting of lines of position and other phenomena in the proper and traditional manner, and exhibiting navigational enthusiasm. An entry form must be completed at the time of the Skipper's Check-In/Meeting.